Since adopting a ketogenic way of eating I noticed that my intake of flaxmeal temporarily dropped off. 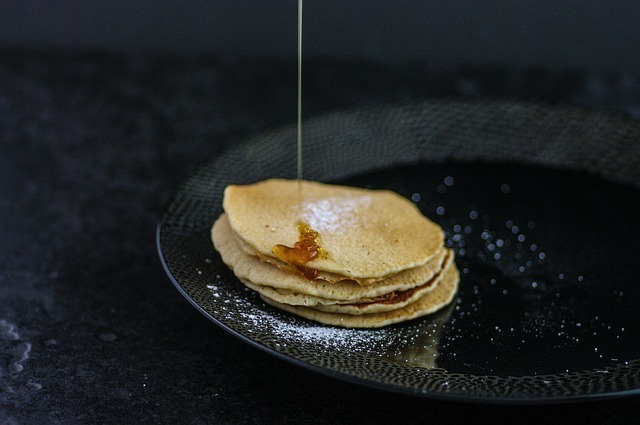 Usually I like to have two tablespoons of flaxmeal everyday because of the many ways it can benefit my health so I created a ketogenic pancake that provides a therapeutic dose of flaxmeal. Selective oestrogen receptor modification; this means it's good for hormonal balancing, so in the case of excessive oestrogen it will have a lowering effect whilst it can also provide oestrogenic effects in cases of low oestrogen, such as menopause. Prostate Health- the oestrogen balancing effect also works to support healthy testosterone balance - reducing the risk of both prostate enlargement and prostate cancer. Bowel flora modifying - it is a wonderful source of fiber that maintains a healthy colonic environment. Regulates bowel function - it is both bulking and lubricating thus supporting regular, easy bowel motions. Cholesterol modifying effect - due to both it's high fiber content and profile of healthy, omega 3 fatty acids. Cardiovascular Health- largely due to the antiinflammatory omega 3 fatty acids. Skin Health - a bit like a moisturiser on the inside, the omega 3's feed and nourish the layers of our skin. Flaxseed really is one of my favourite superfoods. The following recipe provides two days worth of flaxmealy goodness! Beat eggs, add remaining ingredients, mix well. Heat coconut or olive oil in skillet. Cook as you would pancakes. I sprinkled mine with some shredded coconut and Actilax lactulose syrup.